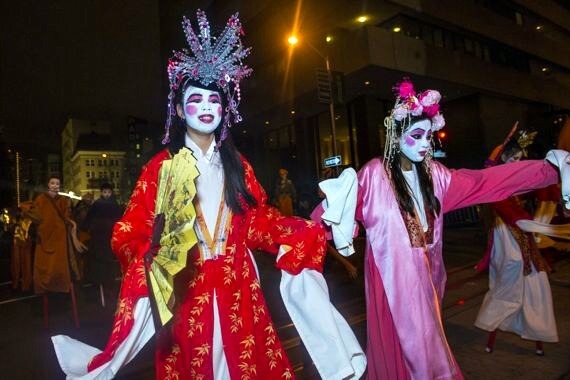 Chinese New Year Parade San Francisco: Best Viewing Spots for 2019! 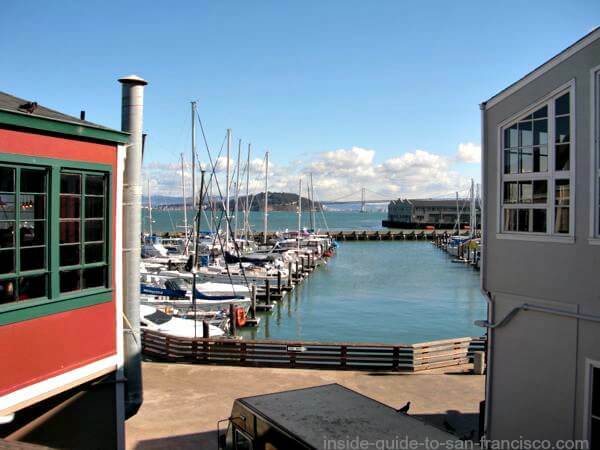 All the the best viewing spots for 2019! 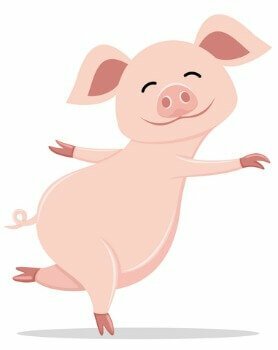 San Francisco greets the Year of the Pig with its historic Chinese New Year Parade on February 23, 2019. 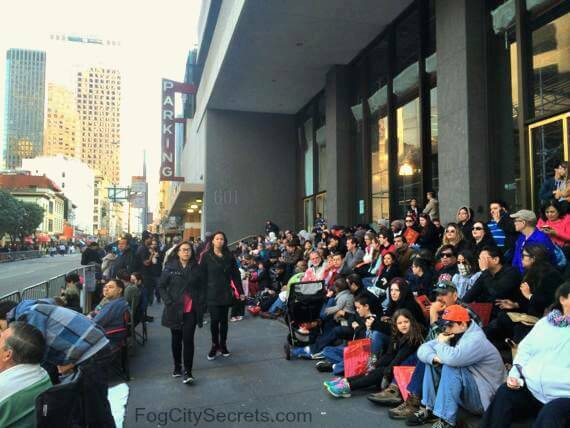 I walked the parade route for the Chinese New Year Parade to see what the best viewing spots would be and here's what I found. The two viewing stands along the route. Raised areas on Union Square. For early birds, the front row anywhere along the route. 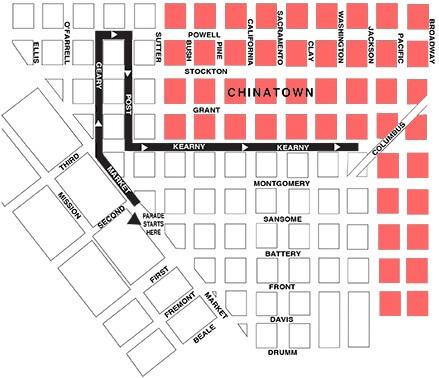 The parade starts at Second and Market Streets, downtown and works its way past Union Square, ending up in Chinatown at Kearny and Washington. As I went along the route, I looked for good places to stand, and also for spots on the second floor or above: basically, any position that would make for better views above the heads of the crowd. Result: slim pickings, but there are some good spots! Here are the highlights. The parade begins at Second and Market. 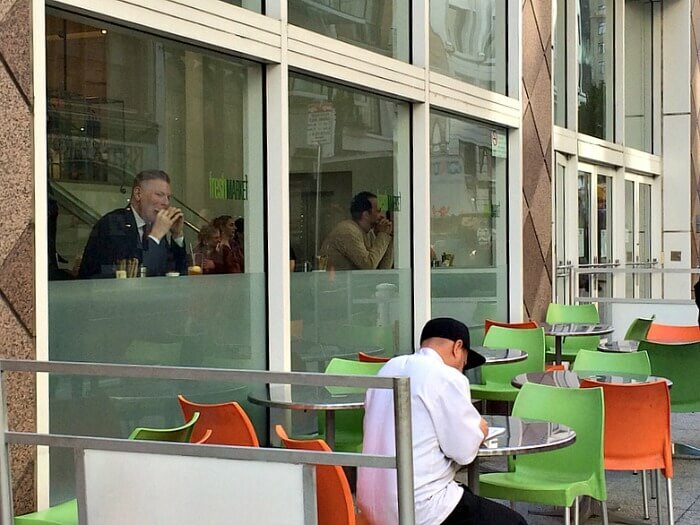 At 3rd and Market, it veers onto Geary St. Down Geary a couple of blocks, to Union Square. The route goes past Neiman Marcus, on Geary just before Union Square. They have a little cafe with windows that look out on the route. 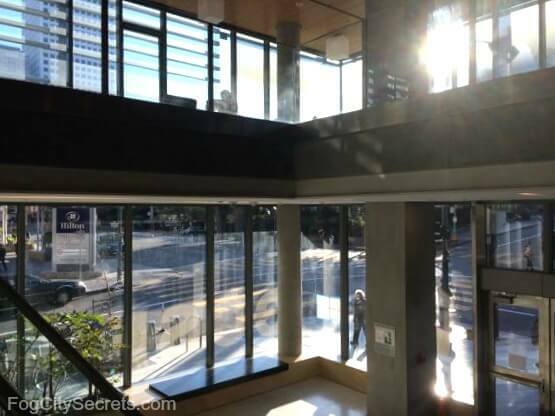 There is a counter with stools facing the window; could be a prime spot, if it will be open during the parade. They also have tables on the sidewalk, but I don't know if they'll be there for the parade. Might be worth checking out, but you would have to be early. This year, the parade goes all the way around three sides of Union Square. The route goes around Union Square on Powell St, then right on Post St, past Saks Fifth Avenue. 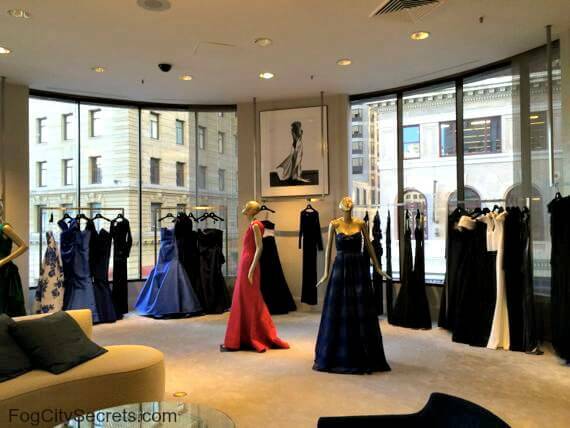 Designer Gowns View Windows... Sorry! Great views from the second and third floor corner windows of Saks, but they close those areas off the day of the parade. 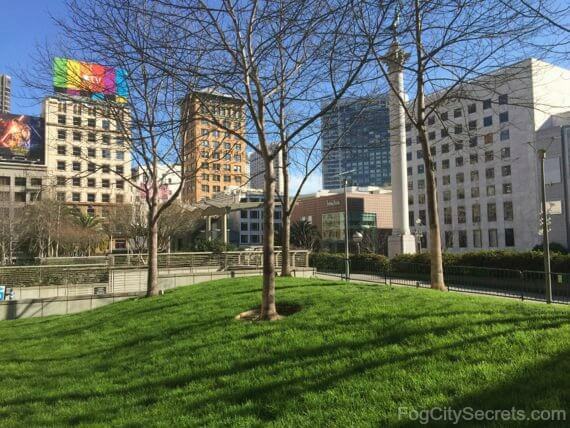 Union Square is a prime view spot this year. 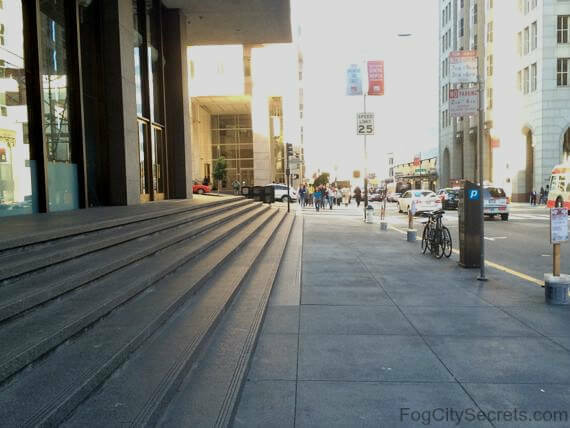 There some steps on the southeast corner (Geary and Powell) that could give a bit of a view, plus there is a slight hill on the western end of the square (near Powell) that gives a little altitude. The route continues down Post Street, down to Kearny St, past all the fancy stores: Gucci, Cartier, Brooks Brothers, Armani, etc. 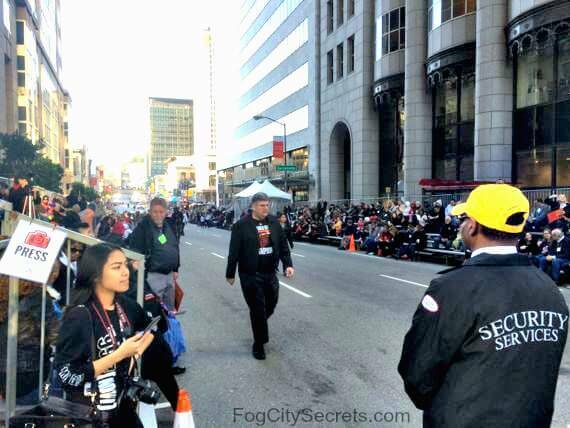 At Kearny Street, the route turns left, and goes all the way down Kearny to Washington Street, where the judges are waiting. One of the two viewing stands along the route. Scroll down to see the other viewing stand. At the end of the route, the parade passes the Hilton Hotel and ends near the Chinatown City College campus. 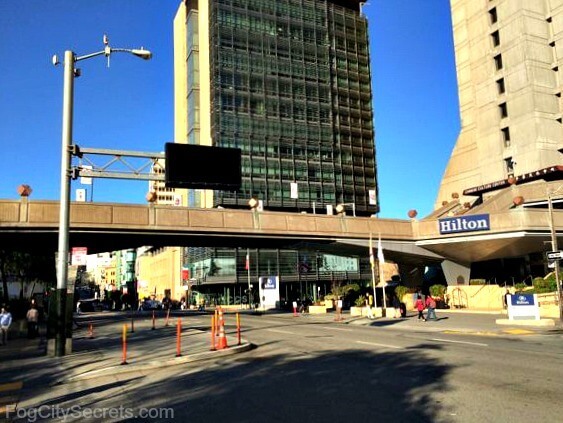 The Hilton Hotel on Kearny in past years has had viewing stands set up in front of the hotel, as well as on the bridge that connects them with Portsmouth Square, but in 2017 they stopped doing it. The bridge will most likely be closed to the public during the parade. The parade judges will be at Kearny and Washington, near the City College campus on the corner. The glass walls of the Chinatown City College campus offer a view of the end of the parade near the judges stands; I don't know how good of a view it will be, or how crowded, but it's a possibility. The second story is the library; I don't know if it will be open during the parade. View from inside City College, near the judging stands. 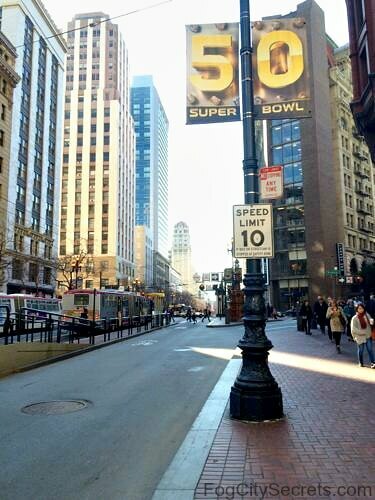 At various locations on the parade route, viewing stands like bleachers will be set up. You can buy a ticket for a seat in one of the stands. On Kearny Street, between California and Sacramento. On Post Street, between Grant and Kearny. This year, they are selling tickets via Eventbrite; you'll get the tickets via email, or you can use the Eventbrite app on a mobile phone. They're available for purchase now; they sell out, so it's a good idea to book early. To get tickets for the Post Street stands and Kearny Street stands, you can purchase them on the Eventbrite site, at Chinese parade. $35 each. Under 2 yrs free (sitting on lap). You are reserving a seat in the bleacher area, but there are no assigned seats. This year, these seats will be on Post Street, instead of Sutter, but they should look about the same. 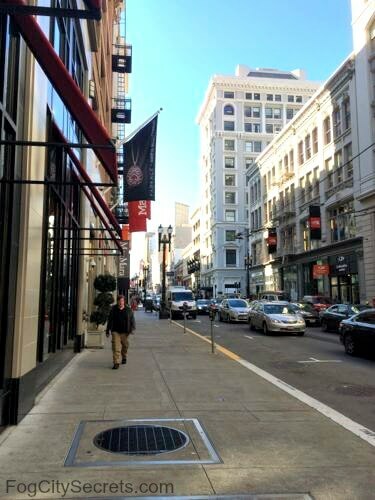 See photo of Kearny Street stands above. These spots are free, and would give you a place to sit down if you get there early-ish. 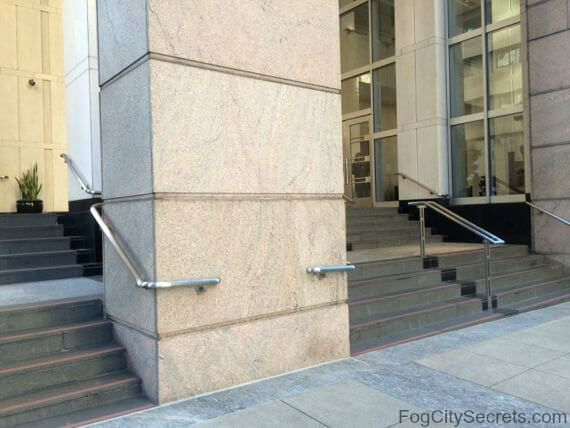 At the corner of Kearny and California, there are two buildings on the parade route that have a series of steps going up to them. 600 California didn't work out, but 601 California turned out to be pretty good. 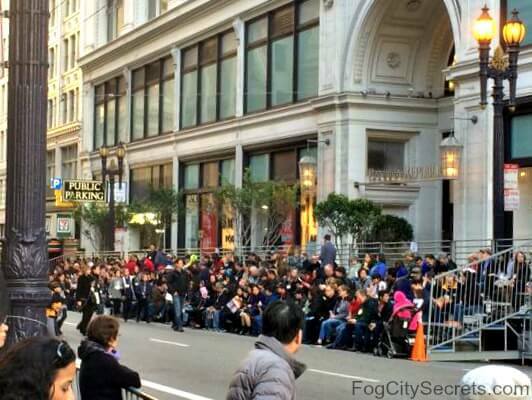 During the 2016 parade, the steps at 600 California were blocked off, but the 601 steps were popular. The top two or three rows should have a great view. 601 California steps during the parade. Beginning or End? 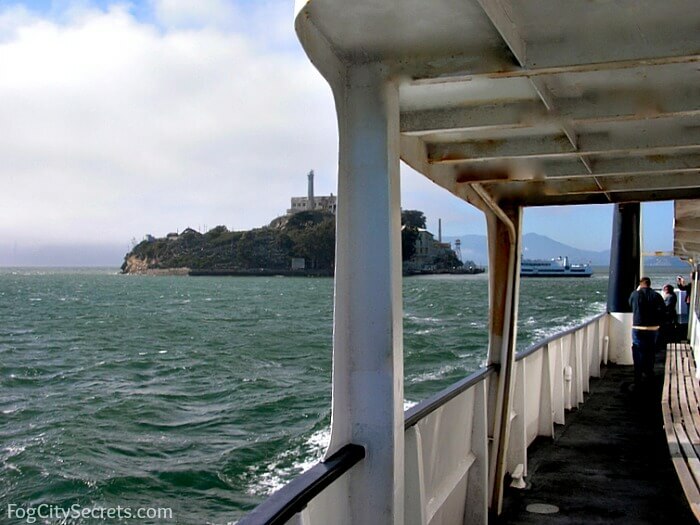 Opinions vary as to whether it's better to watch from a spot towards the beginning of the route (performers have more energy) or towards the end (less crowded); difficult call! 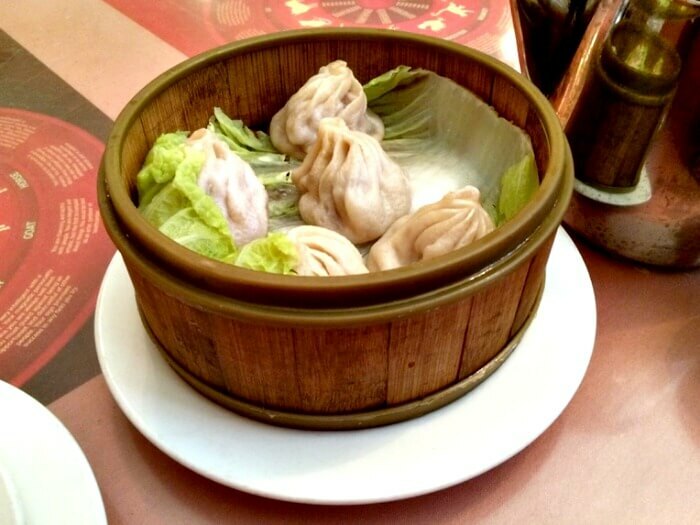 Staying in the city during Chinese New Year? A number of major hotels are right on the parade route. But only some rooms look down on the parade. The Westin Saint Francis Hotel flanks the entire western side of Union Square on Powell Street, giving a great view of the parade coming and going. Your room would have to be on side facing Union Square. Check out the Saint Francis Hotel on TripAdvisor.com. 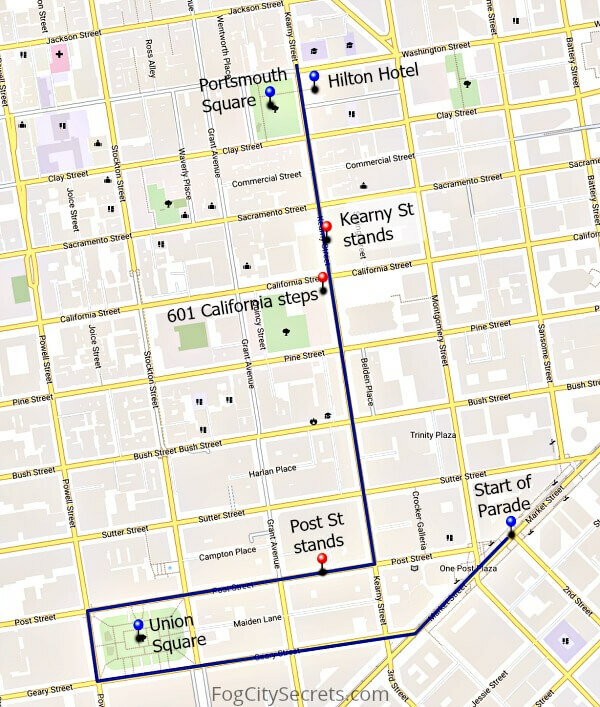 The Hilton is near the end of the parade route, right across from Portsmouth Square. 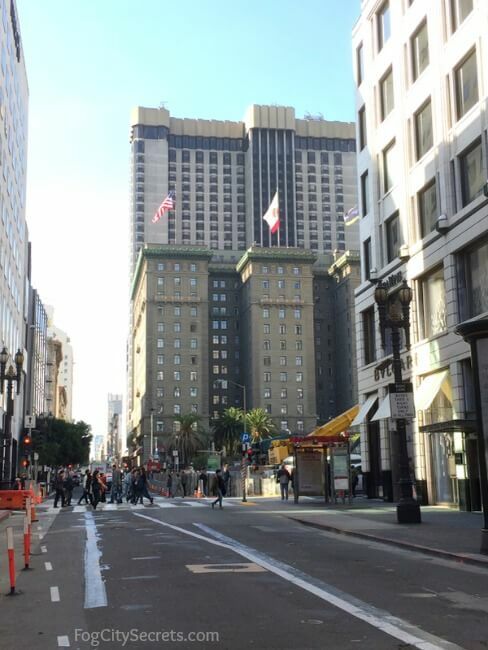 The hotel entrance faces Kearny Street where the parade passes, but this year they are not setting up the bleacher seating in front. The rooms don't face the parade area, but you would staying right in the heart of it. Check out the Hilton Hotel on TripAdvisor.com. 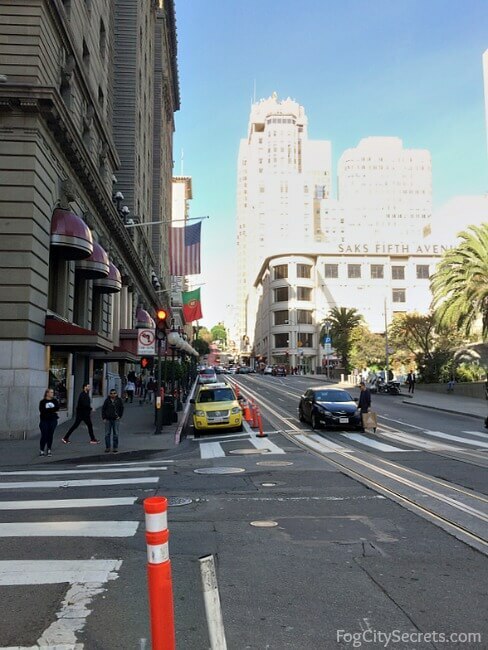 A number of popular hotels are close to the parade route, right near Union Square, if you want to stay nearby. Kimpton Sir Francisco Drake, 450 Powell Street. San Francisco Marriott Union Square, 480 Sutter Street. 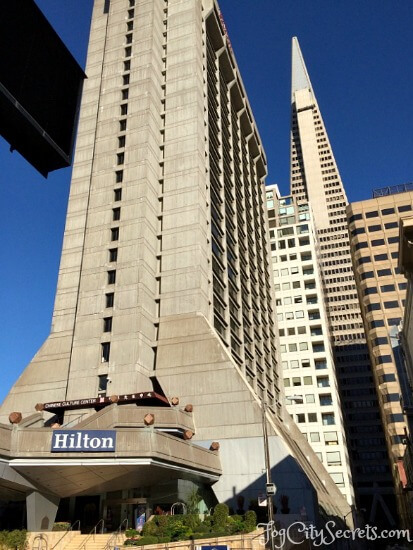 Grand Hyatt, 345 Stockton Street. 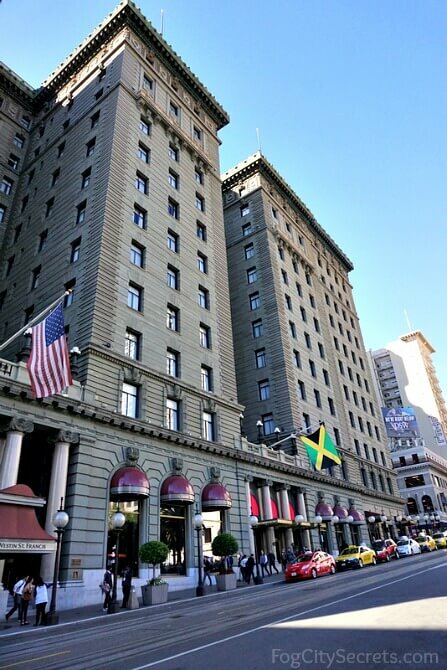 Chancellor Hotel on Union Square, 433 Powell Street. Will 2019 be a lucky year? 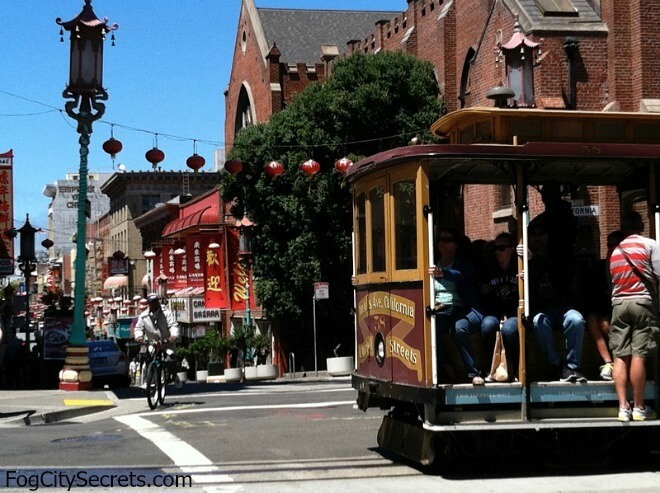 See Chinese New Year in San Francisco. For tips on where to park for the parade, see parade parking.